Patients who are looking for a method that effectively treats a variety of skin irregularities may want to consider CO2 laser resurfacing. This procedure is available at Supriya Aesthetic Dermatology for those who live in Jupiter, West Palm Beach, and Palm Beach County. CO2 laser resurfacing has been used for a number of years by leading dermatologists. It tends to provide dramatic results with some downtime and is available at our office. This treatment involves the use of a carbon dioxide laser to deliver very short pulses of light, which are known as ultrapulses. They are scanned over the surface of the skin to remove very thin layers of this tissue. This helps to remove damaged skin while stimulating the growth of new skin. It is done under local anesthesia and is considered to be an outpatient procedure. 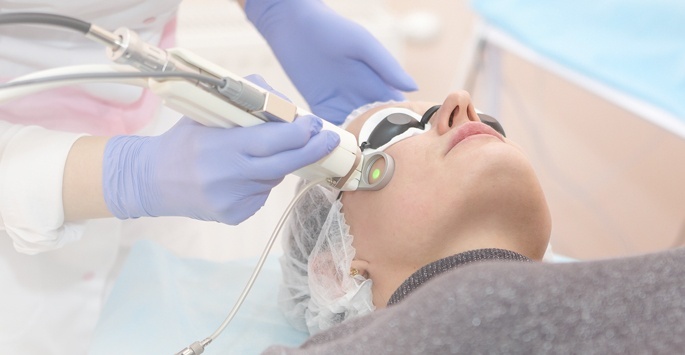 How is CO2 laser resurfacing performed? A numbing cream will be applied up to two hours before the procedure. Once the patient is numb, the laser beams are then scanned over the area to be treated. The entire procedure takes between 30 minutes and one hour. Supriya Aesthetic Dermatology uses the CO2RE™ Fractional CO2 Resurfacing System. CO2RE™ is a versatile fractional laser system that enables Dr. Tomar to precisely target and effectively treat the skin’s surface, middle and deep dermal levels in addition to performing traditional CO2 resurfacing. The treatment is lighter, faster and offers more versatility for skin resurfacing when compared to traditional ablation. CO2RE™ has the ability to treat both superficial and deep layers of skin simultaneously while providing Dr. Tomar with maximum precision and control when it comes to the intensity of treatment, pattern, and depth of ablation. 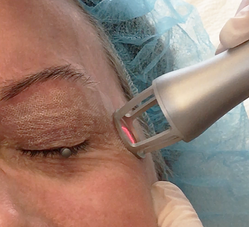 Almost every medical spa offers a fractional resurfacing procedure – Fraxel®, ActiveFX™ and ProFractional™ to name a few – but the CO2RE™ differs by using two types of laser beams that penetrate to different depths – simultaneously. The CO2RE™ has up to seven treatment modes to treat a variety of skin issues. The CO2RE™ offers less discomfort and dramatic results after just one session. This treatment is used in lighter skin-type patients to treat age spots, sun damage, moderate to severe wrinkles and improve skin texture and tone. Anyone without an active skin infection, open sores, or wounds can easily undergo this treatment. What conditions can be treated with a CO2 laser? The results can be quite dramatic and sometimes the treatment is referred to as a Laser Lift. How long does it take before benefits can be seen? Since the area may be swollen or discolored after treatment, results are not normally visible until these effects subside. This typically can take up to 3 weeks. Some conditions require multiple treatments, which can mean that effects are noticed more gradually. Patients will need to use moisturizer and sunscreen for a period of time afterward. Anti-inflammatory medication or antibiotics may also be prescribed if there is an infection or significant swelling. Patients are asked not to wear makeup for about one week. They should also place a cold compress on the affected area daily. Most individuals also elect to take about a week off from work. Dramatic results can often be obtained with the use of CO2 lasers. Those who are interested can find out more by scheduling a consultation with Dr. Tomar. Skin rejuvenation treatments are considered to be elective, so most insurance providers won’t cover the costs. To help make CO2 laser resurfacing affordable and accessible for everyone, Supriya Aesthetic Dermatology offers financing options via CareCredit®. We also accept cash, personal checks, and major credit cards. Contact us today if you have any questions about the cost of CO2 laser resurfacing. CO2 laser treatments are performed at Supriya Aesthetic Dermatology. Those in Jupiter, West Palm Beach, and Palm Beach County can contact us at 561-805-9399 for more information.